Our favorite kickoff-return man is back, but this time the other team is a bunch of dangerous zombies! They will do anything to stop you, so be careful. 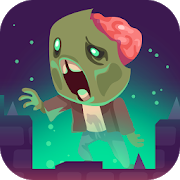 You've entered the sewers, but they're infested with zombies! Go through the tunnels and get rid of them. Ride your trial bike on the shore and look for survivors while you run over the zombies you find in your way.